On January 22, 2017 at approximately 7:45 PM, a 25 year veteran Kingsport Police Department Patrol Officer was directing traffic and gathering information while investigating a motor vehicle collision on Fort Henry Drive at the Interstate 81 interchange in the Colonial Heights area of Kingsport. At one point, the officer had to block a traffic lane with his cruiser in order to safely divert traffic away from the crash. Amidst all of this, the officer heard a man, later identified as Michael Jason Comer, screaming at him from an uninvolved vehicle. Mr. Comer eventually drove past the crash, pulled over to the roadside, and approached the officer on foot. Mr. Comer pitched a temper tantrum so extreme that two teenage girls who were involved in the crash became upset by his behavior and started crying. A woman who had also been involved in the crash was so taken aback by his verbal tirade toward the officer that she began to record his behavior with her cell phone video camera. It was quite clear to the officer that Mr. Comer was attempting to provoke a confrontation. The officer noted that Mr. Comer’s actions clearly met the threshold of disorderly conduct; however, due to the priority of managing the collision scene, he elected not to arrest him on the spot. Instead, the officer ordered Mr. Comer to return to his vehicle and summoned his supervisor. Upon arrival, a K.P.D. Patrol Sergeant spoke with Mr. Comer who stated that the officer had “nearly” caused a collision when he pulled his cruiser across the traffic lane. He stated that when he confronted the officer about it, the officer cursed him with profanity. The Sergeant documented Mr. Comer’s complaint for further investigation and sent him on his way. The following day, Mr. Comer came to the Kingsport Justice Center and spoke with the on-duty Patrol Watch Commander. He filed a second complaint on the same officer; however, he further enhanced his story to accuse the officer of also poking him in the chest with his finger. This detail was mysteriously not mentioned in the first complaint. Per department protocol, all of this information was relayed to the K.P.D. Professional Standards Unit for an official Internal Affairs investigation. Over the next 10 days, a K.P.D. Internal Affairs Investigator made numerous attempts to schedule an interview with Mr. Comer. Each attempt was met with either an excuse or delay tactic by Mr. Comer or an unanswered and unreturned call. Finally, on February 2, 2017 the Internal Affairs Investigator drove to Mr. Comer’s residence and was able to speak with him in person. At this point Mr. Comer once again further embellished his story by adding that a brush guard on his vehicle actually collided with the side of the officer’s cruiser. He also accused the officer of “chest-bumping” him. None of these details were even hinted at in his earlier complaints. As part of the Internal Affairs investigation, several witnesses were interviewed. All of them stated that the officer’s behavior was extremely professional, and the officer did absolutely nothing to provoke Mr. Comer’s outlandish behavior. Furthermore, there was no damage whatsoever to the officer’s cruiser. A review of the cell phone video provided by the witness also completely refuted Mr. Comer’s accusations toward the officer. In short, this complaint was completely without foundation and easily disproven. The results of this investigation were reviewed with the Office of the Sullivan County District Attorney General who in turn presented the facts to a Grand Jury. On May 23, 2017 the Grand Jury indicted Mr. Comer for the criminal offenses of 1) Felony False Reporting and 2) Disorderly Conduct. A Criminal Court Capias was subsequently issued for his arrest. 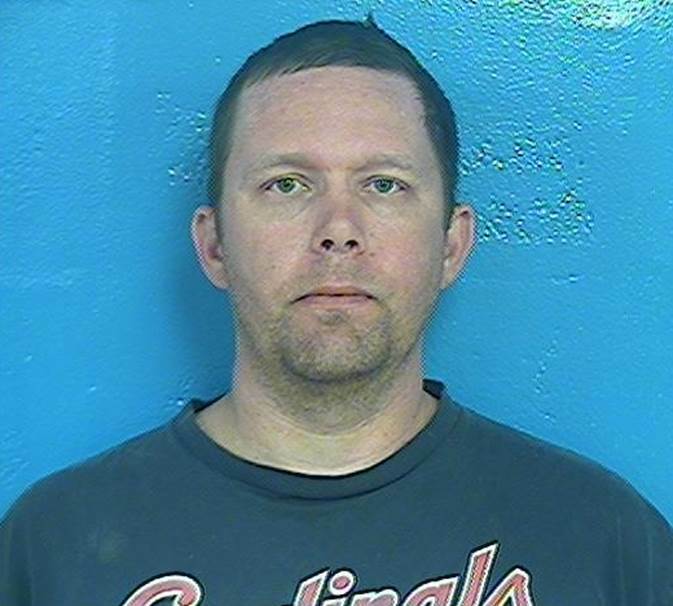 On June 7, 2017 Mr. Comer was arrest by the Sullivan County Sheriff’s Office on the outstanding warrant and confined in the Sullivan County Jail in Blountville. He was released the following day after posting a $10,000 bond as specified by the presiding judge. His next court appearance is scheduled for August 11, 2017 at 9:00 AM.